NOTE: If you have not yet read our earlier article on the telegraphing of Depleted Uranium poisoning throughout the whole earth, please take the short time to read our NEWS2191, entitled, "Purple Sunsets, Purple Clouds, And Purple Rain Are Coming To Your Town!" Then, you will be more prepared to understand the concepts of this article. The Illuminati always loves to "telegraph its punches" of disasters they have planned. About two years ago, we posted an article on this very subject: NEWS2104: "Startling Revelation - Now We Know Why the Illuminati 'Telegraphs Their Punches, Boldly Depicting The Very Disaster They Have Planned". A brief glimpse into Kabbalism reveals the very Black Magick requirement which leads the Elite to tell us what they are planning to do to us in terrorist attacks and natural disasters. In order for you to understand the possible gravity of this news story, you have to understand what we mean when we say the Illuminati loves to "telegraph its punches" to the American people. We use this term to refer to the practice of letting the citizens of the world and /or a specific county know exactly what is about to happen to them in this quest for a global New World Order. In many instances, a movie or TV show will air, depicting very closely what is planned and what later does happen. In other instances, official proclamations from key individuals and/or government agencies proclaim what later does really happen. Why does the Illuminati tell their victims ahead of time what they are going to do to them? 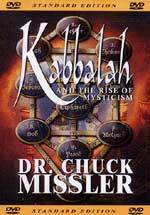 We have noted time and time again that the Kabbala (Qabbala) is the Judaizing version of the apostate Babylonian Mysteries Religion, created by rogue Jewish priests during the 70-year period of captivity in Babylon. These priests learned the principles of Babylonian Satanism, adapted it to Judaism, and brought it back to Israel as an Oral Tradition. The Pharisees and Sadducees practiced this Jewish brand of Satanism during the time of Jesus' reign, which explains Jesus' unrelenting attacks on them (Listen to "Jesus Christ Was Killed By Secret Societies MP3", or 3-Cassette Tape Series for full details). Approximately 1100 A.D., this Oral Tradition was systematized and written down and became the cornerstone of every Satanic system of worship and practice in the world. Now, let us get back to our question of the hour: why do the Illuminist leaders of this day seem obsessed with telling the people ahead of time what they are planning to do to them? "I rushed into the full article about that famous kabbalist curse on Ariel Sharon, specially the interview of that rabbi that conducted the ritual ... I have been asking myself for months WHY on earth do the Illuminati always present (through occult masking) all their upcoming plans into medias, films, or music?" "the cursed person needs to know, for the curse to be effective". Ozzy Osbourne has revealed his Illuminati connections before. If you have not yet read these Cutting Edge articles, please do so now. NEWS1758 -- "OZZY'S WHITE HOUSE -- "Bush's Headbanger's Ball"
President Bush honored Ozzy and Sharon Osbourne twice in 30 days in May-June, 2002! Additionally, Bush bragged to the world that he and his mother are huge Ozzy fans, and even rattled off five songs which were his favorites. One of those songs glorified the bloody Satanic ritualistic murder of actress Sharon Tate. Ozzy would not have been so honored had he not been part of the Illuminati Plan. NEWS2156 - Did Illuminati "Telegraph" Her 9/11 Attacks Through Ozzy Osbourne's Video "Mama, I'm Coming Home"? Now that you know Ozzy's Illuminist connections, let us continue with this expose' of his new album, "Black Rain". Ozzy Osbourne's New CD Album, "Black Rain"
Now that you know why the Illuminati tells their victims what they are planning to do to them, let us examine the most current example of this "telegraphing punches". Ozzy Osbourne has a new CD album on the market, entitled, "Black Rain", a song which speaks graphically about the uranium poisoning of people throughout the world. Further, this song even depicts soldiers dying of it in the desert, a clear reference to the desert of Iraq, where Depleted Uranium munitions are poisoning the whole planet from the battlefields of that poor country. The first question we must answer is "how are we so sure that Ozzy meant uranium poisoning from nuclear bombs by his newest album"? The answers are two, and they are easy. 1) Ozzy Osbourne came right out in a Fox News interview and said that he got his concept for this album from the Black Rain which fell after the atomic bombs hit Nagasaki and Hiroshima, Japan. "GRETA VAN SUSTEREN, HOST: Did you know Ozzy Osbourne has a brand new CD out? It's called "Black Rain" and his first album or CD in six years ... Ozzy Osbourne welcomes you inside his L.A. home and he went 'On the Record'." "GRETA VAN SUSTEREN ... You have a new CD coming out which is why or is out which is why I'm here, but in the '70s, with Black Sabbath, you sold more than 50 million records, which is extraordinary. Then in the '80s you had your first solo, and 4-times platinum. In the '90s, five albums, each one went platinum. And then in 2000, your Grammy — you have a Grammy in the '90s ... These numbers are incredible." "VAN SUSTEREN: All right. You got to — the reason we're here, the new CD, "Black Rain." "VAN SUSTEREN: Who came up with the title?" "OSBOURNE: Me. I was watching — I like to watch the news channels. I like to watch the documentary channels. And I got this — somebody gave me a DVD of when we dropped the atom bomb on Hiroshima. And after it blew up and killed everybody like that, it carbon — it evaporized (ph) some people, but it carbonized other people, not unlike charcoal and when the bomb — it sucked all these things up in a cloud, and it rained black rain, but they thought it was just regular rain there. And there were people catching it on their tongues and it kind of stuck on my head. I go, wow, I hope we never see black rain, you know?" So there you have the straight scoop as to how Ozzy named his new album and from whence he got the concept. 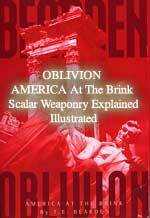 Even though Ozzy does not go further, I would suppose that he was so taken by the documentary he viewed on the Black Rain which fell after American bombs fell on Nagasaki and Hiroshima that he studied the matter further, and was led to the reality of the Depleted Uranium munitions disaster which we have forced upon the Iraqi people and most of the Middle East. This next article we suggest you read tells how and why black rain is produced a nuclear explosion wreaks its fury upon its target. "The initial effects are past. A region 3 km (2 miles) across about each ground zero has been cleared and fused into glass. Within 11 km (7 miles) of Hanna a semi-continuous fire is emerging, and similarly within 9 km (6 miles) of the other two explosions. Dust and debris begin falling from the sky over the devastated areas, as does a black rain (produced when atmospheric moisture superheated by the explosions recondenses on the plentiful dust and smoke particles). As the clouds are blown east-northeast at 50 km (30 miles) per hour, they are followed by enormous plumes of smoke. Besides this, thunderstorms begin to develop over the explosion sites. The black rain lasts several hours, and some areas receive a few centimeters (or inches) of rain..."
If Ozzy did do additional research and discovered the disaster in the desert sands of Iraq and beyond, then the lyrics of this new song make sense. These song lyrics are the second reason we know Ozzy was talking about Black Rain being nuclear contamination; further, these lyrics make it sound as though Ozzy was talking about the Depleted Uranium munitions being exploded in the desert called Iraq. 2) The lyrics of the song are very striking and informative. We cannot print them in full because of Copyright Laws, but you can go to the Black Rain official Sony website to read them in full. Now, let us examine selected lyrics to see the full message Ozzy is trying to communicate. The dead are scattered around"
At this point, it seems as though Ozzy is speaking only of a global contamination, when he says "the human race is dying". However, the last phrase acknowledges that this nuclear contamination is killing our soldiers: "Another soldier is dead". Then, Ozzy acknowledges that tremendous numbers of people are dying, so much so that the Angel of Death is standing by. Angel of death standing by"
Cutting Edge has long led the effort to educate people to the reality that this Depleted Uranium poisoning is killing the entire populations of Iraq and Afghanistan, and that it is also killing our own soldiers! We have been told by medical authority that, over the next 20 years, fully 90% of all soldiers who served in these battlefields will die of uranium contamination. Ozzy then speaks directly to the war in those areas hardest hit by this uranium poisoning. "War killing sons and daughters ... Blood running down like water"
In the past newsletter (May 25, 2007), we quoted Senator Robert Byrd when he lamented that Bush's war is turning the sands of Iraq red with blood. Therefore, we know that Ozzy does, indeed, have his facts straight! Into the desert to die .... I watch them dying in vain"
Once again, Ozzy has his facts straight. President Bush has sent over 1 million American soldiers -- young and older -- into this war which was planned to fail from the very beginning. I can certainly agree with the painful conclusion, "dying in vain". Just as the Vietnam War, every single soldier which has paid the supreme sacrifice for Bush's war is going to die in vain. This segment again tells us that these brave soldiers are fighting in the "desert". The only major desert war being fought right now is in Iraq. Since Ozzy makes no profession to being a Born Again Christian, I am at a loss to understand to what "judgment day" this song is referring. However, I guess the judgment day for the world concerning Depleted Uranium contamination will occur when people start dying the world over in huge numbers. 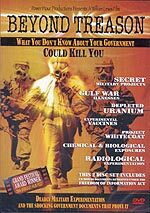 The first time uranium fall-out was detected far, far away from Iraq was during the "Shock and Awe" attack on Baghdad on 21 March 2003. In the days following that Depleted Uranium bombardment, scientists detected highly elevated uranium levels in the skies over London, England! In the four long years since that time, huge amounts of uranium dust has been circling the globe. Purple skies are not uncommon anymore, and soon, we shall be having reports of Black Rain. 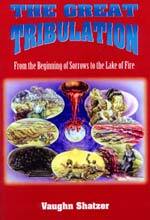 Let us review again the prophecy whose stage is now being set. Truly, the End of the Age is breaking with ever greater force upon us.